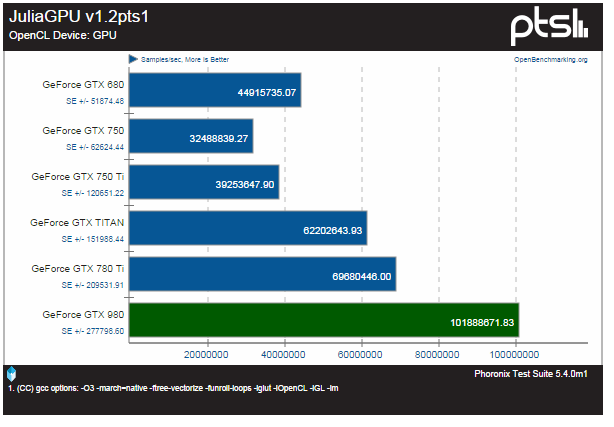 Its been a long time since I last posted benchmarks for the sake of posting benchmarks, but with the OpenCL tests conducted over at Phoronix.com the time to do so has come once again. 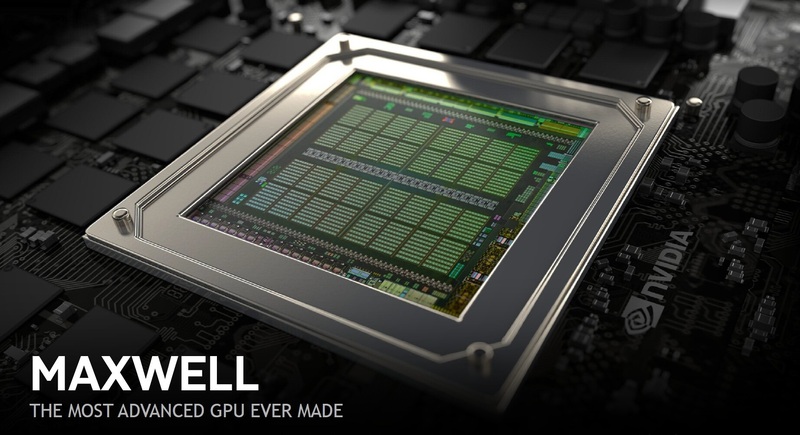 The benchmarks were conducted on Linux using the Phoronix Test Suite and basically determine the GPGPU performance of Maxwell flagship GTX 980 in terms of relative OpenCL performance. Before we begin however, I would like to point out a flaw in their test that leaves them susceptible to accusations of biasness. There is no R9 290X (flagship Hawaii GPU) present and in its place is the R9 290, which as you all know isn’t the full fat core. 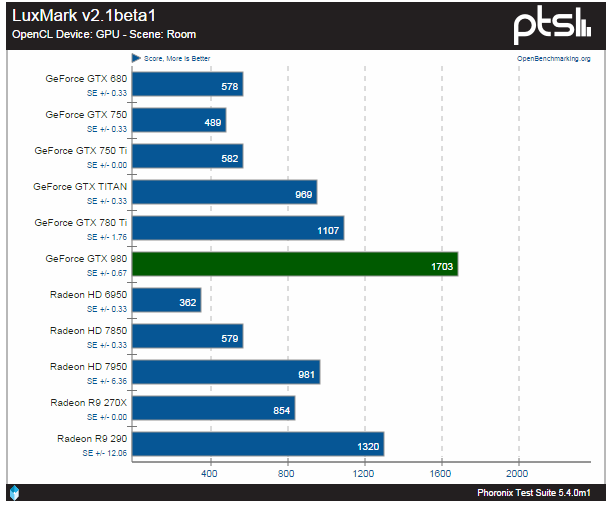 That said, in fairness to the guys over at Phoronix, these tests were probably conducted from eng samples they have received from companies, so it is somewhat excsueable that the R9 290X was omitted. Also the difference between the GTX 980 and the closest competitor is too great for the Hawaii Flagship to have fared significantly better than the 290X. I am sure you have had enough of me, so here are the benches in all their glory. As you can see the Nvidia GTX 980 pretty much wipes the floor with all GPUs, Green or Red. It still amazes me that this leap occurred on the same 28nm process. In most cases the runners up and second runners up position is occupied by the GTX 780 Ti and the GTX Titan GPU but in other cases AMD’s R9 290 Hawaii GPU claims this position for itself. It is in these instances that the R9 290X would have truly shined. 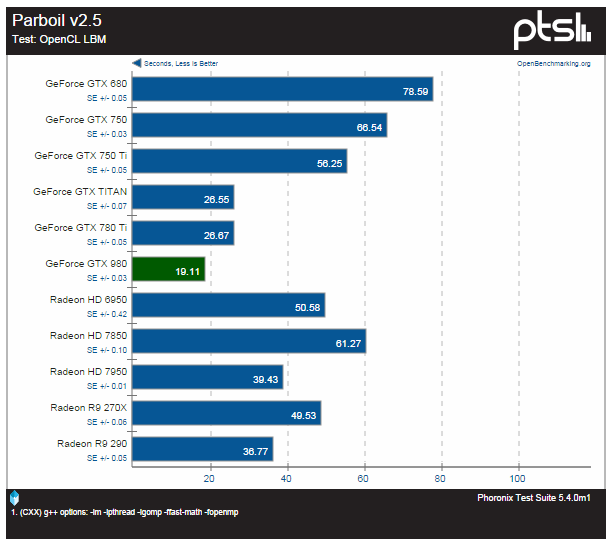 You can imagine the left out GPU somewhat ahead of the R9 290. It is also worth pointing out that the card was clocked at a mere 1126Mhz on the core and 3505 Mhz on the memory which is nowhere near the kind of clocks you get on good AIBs (~1400/3600). The full review can be found over at Phoronix.com.